Lariam 250mg tablets are available to order online from The Independent Pharmacy Online Doctor. Lariam tablets contain the active ingredient mefloquine and are a convenient once-weekly treatment for malaria prevention and are effective in a number of countries around the world. Larium is an effective malaria treatment and preventative. It available as a tablet and is taken once a week. Treatment begins prior to travel, continues throughout your trip and should be taken for four weeks after your return. 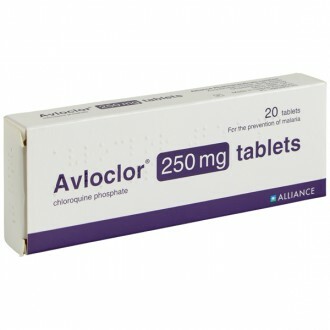 It is important that you continue to take the tablets post-travel, to cover the disease’s incubation period. Larium is a branded medication manufactured by Roche and is available from our UK-based pharmacy. 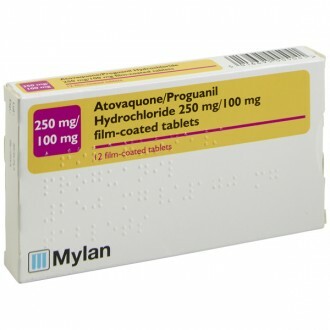 It contains mefloquine hydrochloride, which targets the parasite and stops it from reproducing. 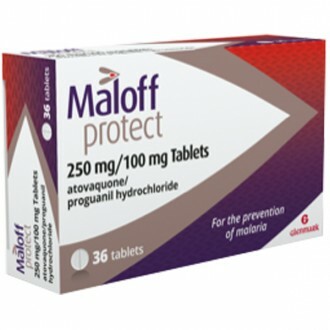 This product is adept at tackling the parasites present in regions where malaria has developed an immunity to other antimalarials, such as chloroquine. 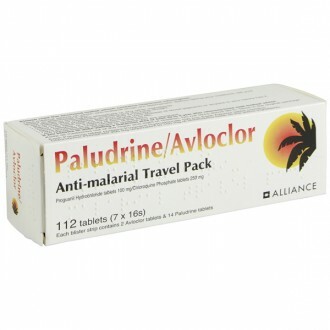 It also treats active malarial strains, but this needs to be done under a doctor’s supervision. Malaria is caused by the plasmodium parasite carried by mosquitoes and is transferred to humans through bites. Symptoms can take three months to develop after infection, or even longer in some cases. These include fever, flu-like signs and headache. Some, aggressive strains may cause organ failure and death, so it is important to take precautions. According to estimates, nearly 1,500 British travellers have contracted malaria in recent years. The condition adapts to and resists certain medications and vaccines so it is essential to research the area to which you are travelling and learn which strains may exist there. This will influence the type and course of treatment you use. Consult the Fitfor Travel NHS website. You should take Larium weekly, on the same day each week. Take the first dose ten days and a second dose three days before your trip. Your dosage of Larium tablets depends on your body weight. Adults weighing over 45kg, should take one whole tablet once a week. In addition to taking anti-malaria tablets, you can lower your risk of developing malaria by avoiding mosquito bites. Stay in air-conditioned rooms with screens on the doors and windows. If this is not possible, ensure that doors and windows close properly. If you cannot sleep in an air-conditioned room, sleep under a mosquito net that has been treated with insecticide. Protect your skin with insect repellent, especially in sleeping environments, and reapply it frequently. The most effective repellents contain diethyltoluamide (DEET) and are available in roll-ons, sprays, sticks and creams. Instead of shorts wear light, loose-fitting trousers and shirts with long sleeves. This is particularly important during early evening and at night when mosquitoes prefer to feed. Vitamin B, garlic and ultrasound devices do not protect against mosquito bites. You should take one tablet every week on the same day each week. 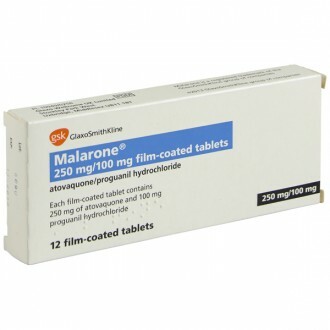 Lariam needs to be taken three weeks before entering an area where malaria is present and continued until four weeks after leaving the malaria area. You should take Lariam with or after food. Lariam remains effective with a moderate alcohol intake. If you do experience side effects from Lariam they may include depression, mood changes, anxiety, confusion, hallucinations, panic attacks, restlessness, paranoia and general agitation. Lariam has a small risk of nausea, vomiting, diarrhoea, and skin rash as with all medicines. There have been rare reports of suicidal thoughts whilst taking Lariam. Please read the Patient Information Leaflet enclosed with your medicines for a full list of side effects. 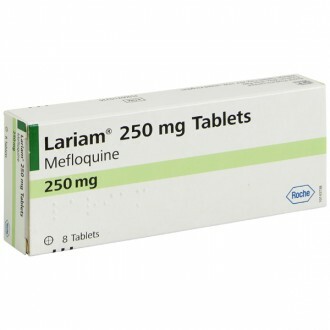 Lariam tablets contain the active ingredient mefloquine 250mg per tablet. The other ingredients are poloxamer, microcrystalline cellulose, lactose, maize starch, crospovidone, ammonium calcium alginate, talc, magnesium stearate. Lariam should not cause a harmful interaction with any of your other current medicines. Lariam should not be taken if you currently take carbamazepine, chloroquine, halofantrine, ketoconazole, phenobarbital, phenytoin, quinidine, quinine, rifampicin, or valproic acid (valproate). Please read the Patient Information Leaflet enclosed with your medicines for further information. Lariam is not 100% effective at preventing malaria, however it is still very effective if taken properly and combined with bite avoidance methods. Remember it is also important to get the correct vaccinations for your trip before you travel. These should be administered around 6 weeks before you leave. Remember, malaria can take up to a year to develop after you have been bitten. If you experience symptoms including headaches, night sweats and abdominal pain any time during your trip or up to one year afterwards you must see a doctor as soon as possible. You should take adequate contraceptive precautions to ensure you do not become pregnant whilst taking Lariam and for three months after you have finished the course. Please seek medical help immediately if you experience serious mental problems while taking Lariam. Lariam should be stopped immediately and replaced with another medicine to prevent malaria. 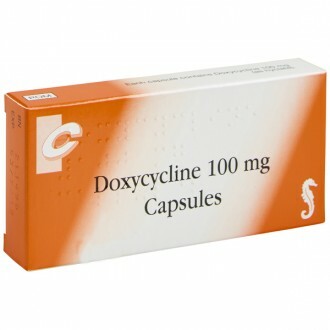 allergic reaction (anaphylaxis) with symptoms such as difficulty in breathing, swollen tongue, itching and severe rash. severe changes in texture and appearance of the skin, especially if it affects your mouth and eyes (Stevens Johnson syndrome). psychosis (losing touch with reality). fever, chills, cough, shortness of breath or chest pain. These could be signs of inflammation of the lungs also known as pneumonitis. Severe liver problems which might be demonstrated by a transient increase in your liver enzymes shown by blood tests or other symptoms such as tender, firm or possibly enlarged liver, jaundice (yellowing of skin/eyes), dark urine, light coloured stools and generalised itchiness. Pins and needles, weakness, numbness, new or worsening clumsiness or unsteadiness on your feet, or shaking of the hands and fingers. Painful mouth or throat ulcers, fever, chills, bruises on the skin, nosebleeds, bleeding in the stomach or vaginal bleeding. These could be signs of blood disorders. Can I drink alcohol while taking Larium? Yes. Larium should not interact with alcohol. Yes, but only with special care. In some cases, Larium may cause side effects which could make driving dangerous. If you experience these, do not drive and contact your nearest doctor for help. Can I take Larium while pregnant? Larium is not recommended for use during pregnancy or breastfeeding. Speak to your doctor in these cases for advice. How should I store Larium? Keep in a safe place, below 30°C and away from sources of moisture. Am I allergic to any of Larium’s ingredients? Larium contains: mefloquine, poloxamer, lactose, microcrystalline cellulose, maize starch, ammonium calcium alginate, talc, crospovidone and magnesium stearate. Do not take it if you are allergic to any of these ingredients. Larium is a prescription-only product. However, our service allows you to have your case reviewed by a doctor. If approved, a prescription will be prepared for you. Is Larium suitable for everyone? Most people can take Larium, although it is not recommended for people susceptible to anxiety, depression, psychiatric symptoms or illness. Because travel is often stressful, Larium may increase stress-related symptoms. Some patients may experience nightmares, agitation, poor sleep and other psychological or psychiatric symptoms. Such symptoms can be-long lasting. If you develop symptoms of this nature, stop taking Larium. 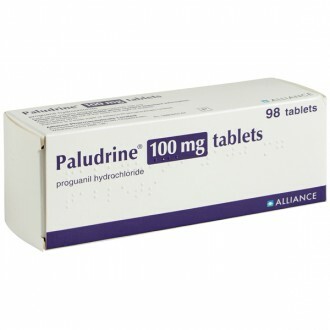 Further details can be found in the patient information leaflet supplied with Larium tablets. Do not take Larium if you are allergic to mefloquine, or if you have mental health problems, severe liver problems or a history of fits or seizures. Does immunity to malaria reduce over time? Long-term immigrants to the UK will lose acquired immunity to malaria when they are no longer living in an area with the disease. Malaria symptoms are similar to flu and include shivers, fever, sweating, backache, headache, joint pains, vomiting, diarrhoea and sometimes delirium. These symptoms may develop a week and up to a year after you have been bitten by a mosquito. For this reason, malaria is suspected in anyone with a feverish illness who has travelled to a malarial area within the past year, especially in the previous three months. If you experience these symptoms after your return, you should seek medical evaluation immediately and tell the doctor that you have recently travelled.